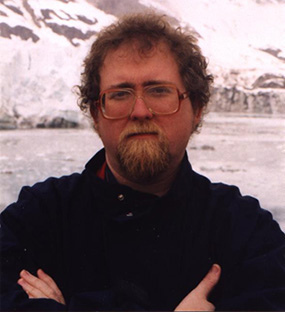 Aaron Dale Allston (December 8, 1960  February 27, 2014) was an American science fiction and fantasy writer. He wrote several novels of the Star Wars Legends, including a third of Legacy of the Force, a third of Fate of the Jedi, and about half of the novels in the X-Wing Series, as well as tie-ins for Terminator and several roleplaying game settings. Allston also helped write the manual for the original Wing Commander, "Claw Marks," as well as the Dungeons & Dragons Rules Cyclopedia, which combined the rules of the first four Frank Mentzer BECMI boxed sets for Basic D&D into a single volume. He's also known for extensive work on the Champions role-playing game, including the award-winning supplement "Strike Force," which earned him the allegedly-unwanted epithet "Champions Guru." Among his own non-tie-in works, possibly the best-known is Doc Sidhe, which might be described as "Doc Savage with Elves." He died on February 27, 2014 while attending a science fiction convention in Branson, Missouri.